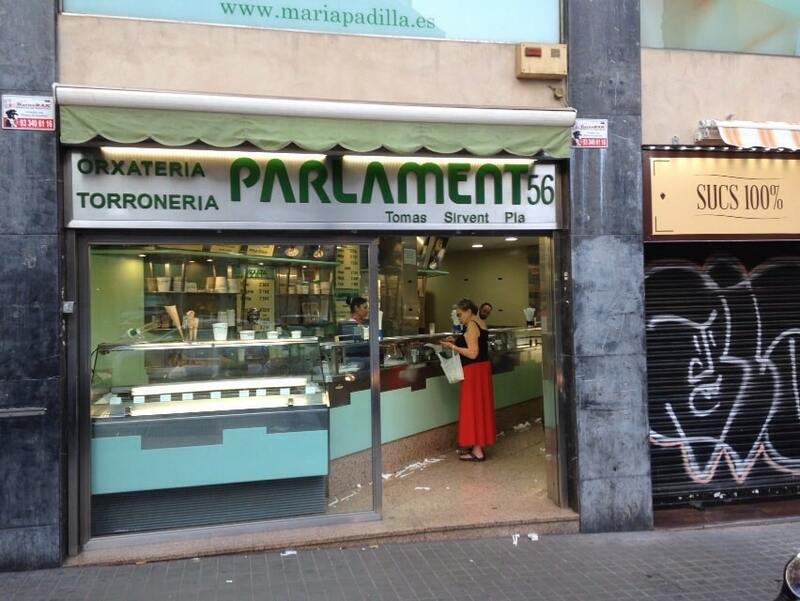 Welcome back to our section of Blog, today Horchateria Sirvent de Barcelona want you to know the recipe as you can do in your own home the cones of ice cream, almost the same as the richest in the entire city of Barcelona. 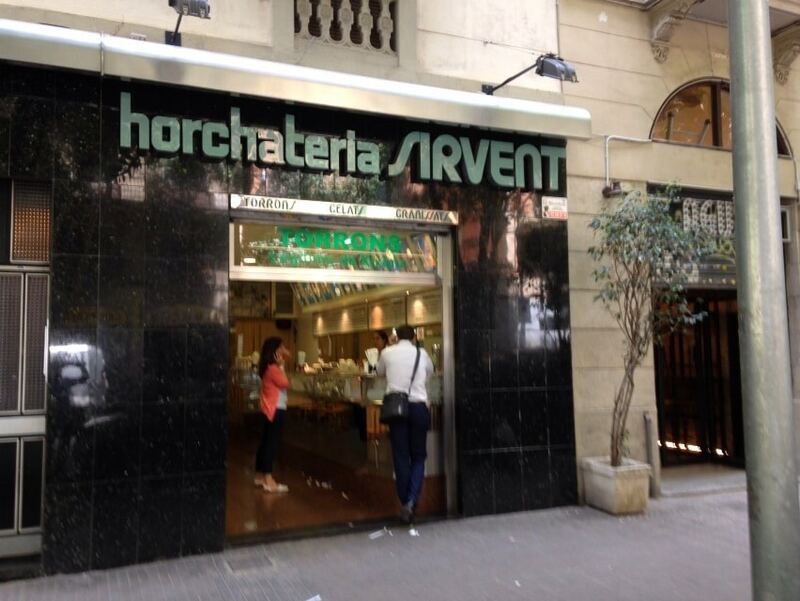 These Horchateria Sirvent de Barcelona want you to know the recipe as you can do in your own home the ice cream cones, almost the same as the richest of the entire city of Barcelona. The waffle cone is the most popular time to think about taking a good artisan ice cream, and the cone is one of the cornerstones of the concept of ice cream balls. 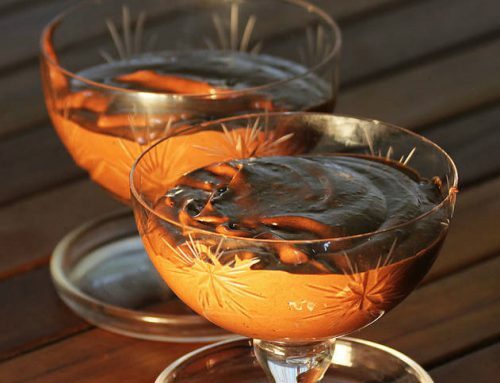 the cones may have tens and hundreds of shapes and different tastes, chocolate, with embedded on its surface, in various ways, so ingredients. But what they have in common all the cones in the world, is a good ice cream cone is made of cookie, a cookie that will be the last thing you eat this rich and desired local ice cream. That’s why, in Horchateria Sirvent de Barcelona, ​​we decided to share a recipe for yourself at home, may be able to produce cornets your ice cream artisans. So I said, start with the recipe for ice cream cones. To make the cones, you’ll need a machine to make waffles, which also typically includes a plastic utensil cone-shaped, which is what will allow us to do so characteristic shape of ice cream cones.If we have all these ingredients on top of the marble of our kitchen, and we are ready to make a good home for our ice cream cones. As we all well ready to start with the recipe ingredients, start us! First, we beat the 50 gr. butter, which should be at room temperature with 60 gr. of sugar. The mixture should be nice and smooth. When we said mixture list, simply will add 60 ml. milk, and simultaneously, pour teaspoon vanilla extract. When everything in the same pot, we began to beat again, that way all the ingredients remain well mixed and homogenized. Now that we have this mixture well prepared … we have the dough to make the ice cream cones! Once we have the mass, it is best to let the iron heat, would call the maximized and thus go faster. The trick to know if we have the hot iron, is simply to see if the green light of our iron will turn off and turn red. When the iron is hot and ready either, although its surface is non-stick, does not hurt to sprinkle the surface of the plate with a little spray release agent, in this way we will ensure that the plate will not be any remaining dough we have prepared earlier. 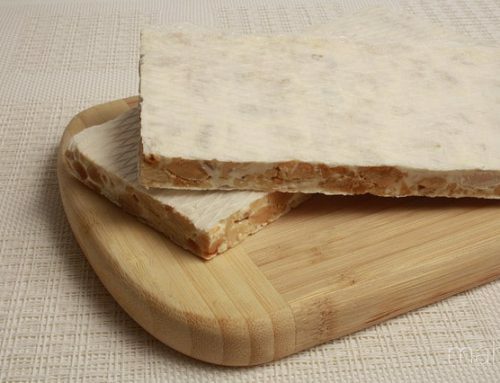 With the aid of any utensil, or a single spoon or a measuring jug, will a small amount of dough in the center of the plate, and followed by the entire sheet will distribute smoothing with a spatula. The trick is not to put too much weight, because if we put a lot of batter onto griddle, dropping the lid will expand this mass, and if there is too much, overflow and clean touch us more than usual. Once we have the mass in the center of the plate, we go down the lid, and close the plate gently. We’ll let the dough cook for about 2 or 3 minutes. After this time, we can lift the lid carefully to see if you really are made or even lacks a bit. Remember that cooking time will depend on the power to put the plate, and at the same time having such consistency mass. If we see that the dough will need a little more cooking, return it to introduce in the iron and wait for it to do a little more. When we see that the mass is well ready, roll up the dough on the cone plate normally leads attached to the package. 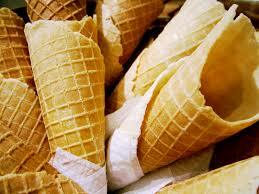 And roll it give the characteristic shape of the cones. When we go to roll the dough in the plastic cone it is very important that dough is still warm, so we can easily give way, since the mass hardens quickly. 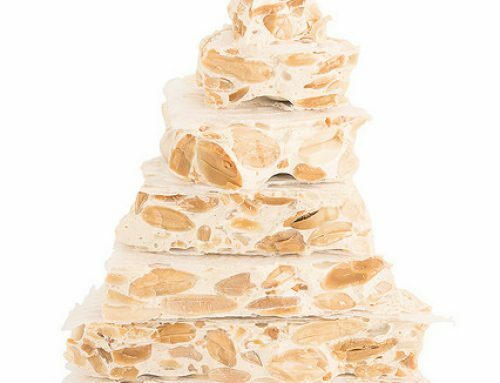 Now you just need to try this recipe for marzipan nougat at home and you get it great so you can all enjoy a good ice cream cones Christmas. 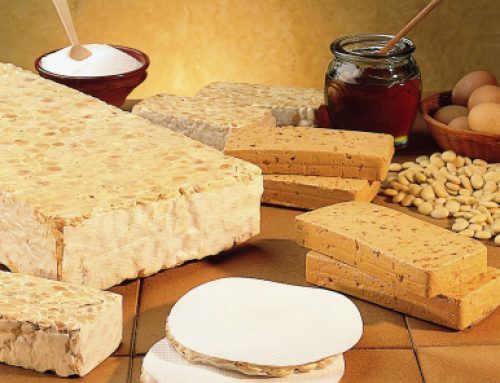 Finally need to add a very important step: If you do throughout the entire recipe … send a photo of your soft nougat cake for our social networks (Twitter or Facebook ), and in this way you will encourage more people to try this wonderful and tasty recipe for ice cream cones.